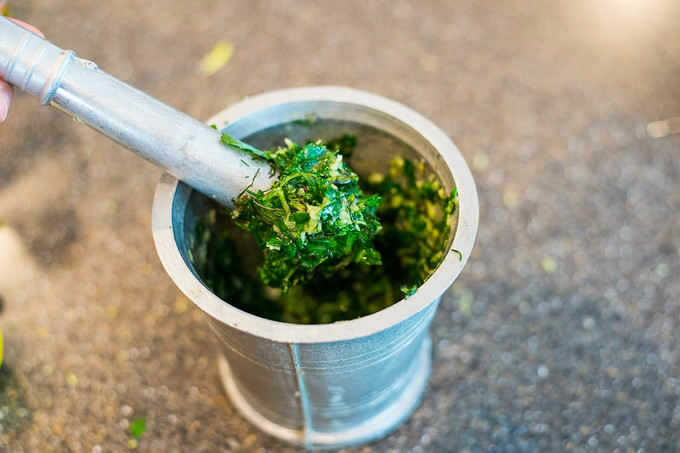 This chimichurri recipe has so much flavor and zesty punch in it, I am sure you will enjoy pairing it with your meats. You can quickly whip it up, or you can also make it in advance to make sure all the herbs play well together. 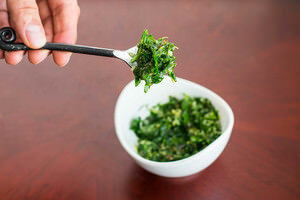 Chimichurri, or chimmichurri is believed to be a part of Argentinian Cuisine. 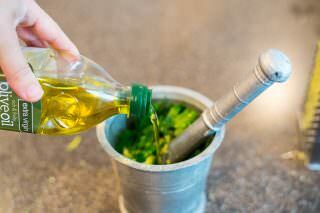 It is used to marinate meats before grilling, or simply as a rub after the meat is grilled or cooked. 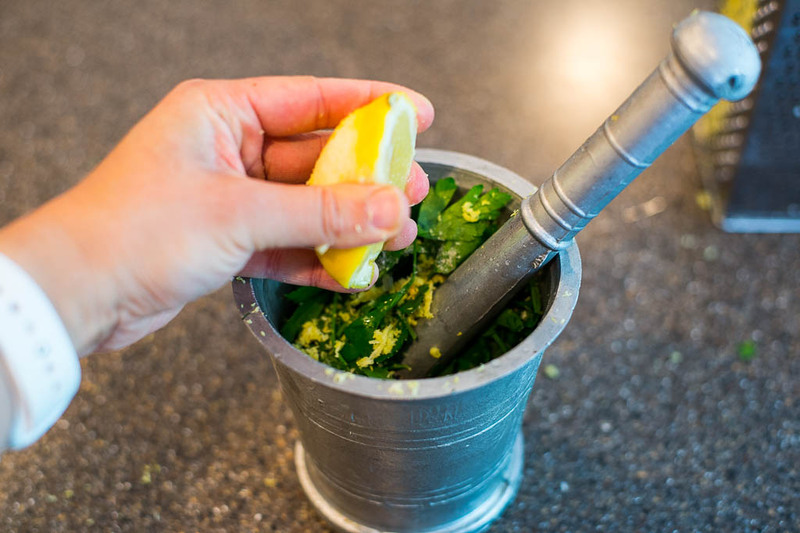 Try our tenderloin steak with this zesty and fragrant chimichurri recipe. 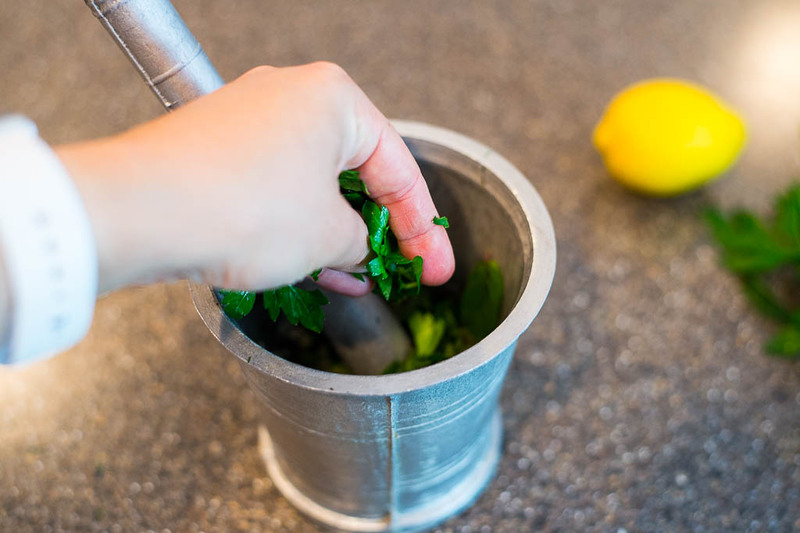 You can put all the ingredients in a blender, and give it a swirl or you can thinly chop all the herbs and mix everything together. 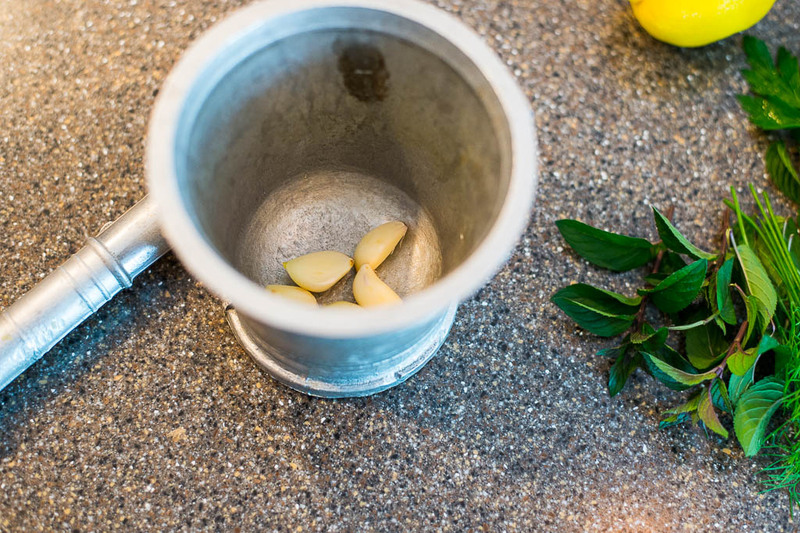 However, working the marinade with your mortar and pestle is a whole different ball game. 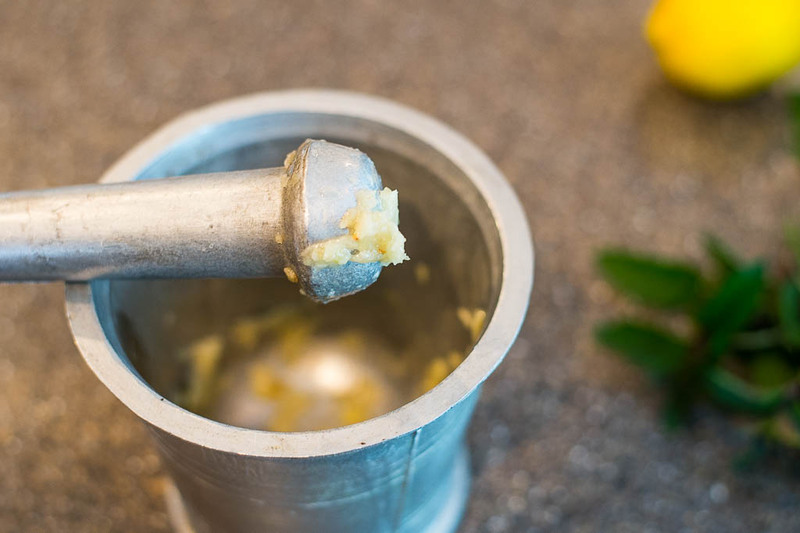 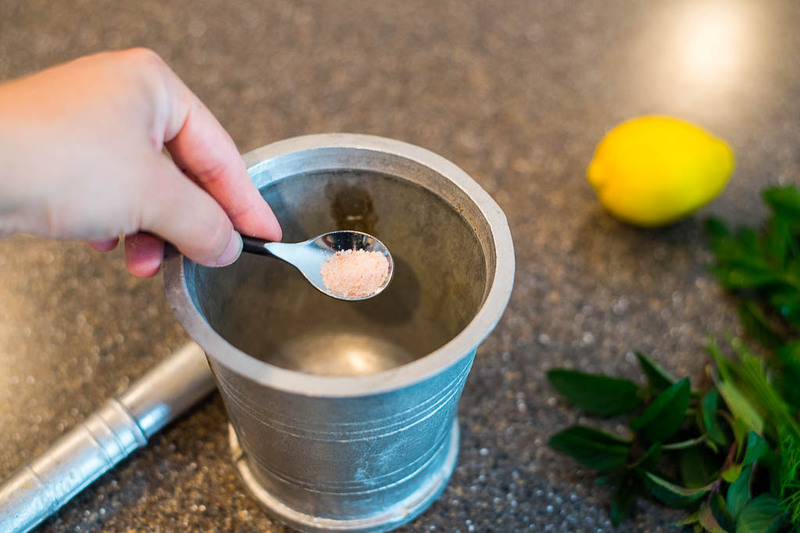 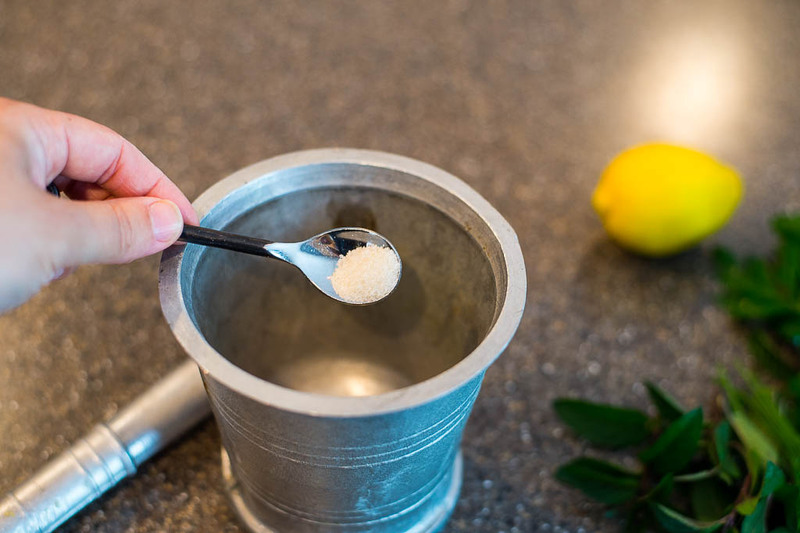 Place garlic cloves in the mortar, add 1/2 tsp of salt, sugar and using a pestle crush the garlic well. Salt will help turn the garlic into a nice mush, sugar will give your chimichurri a nice, sweet touch. 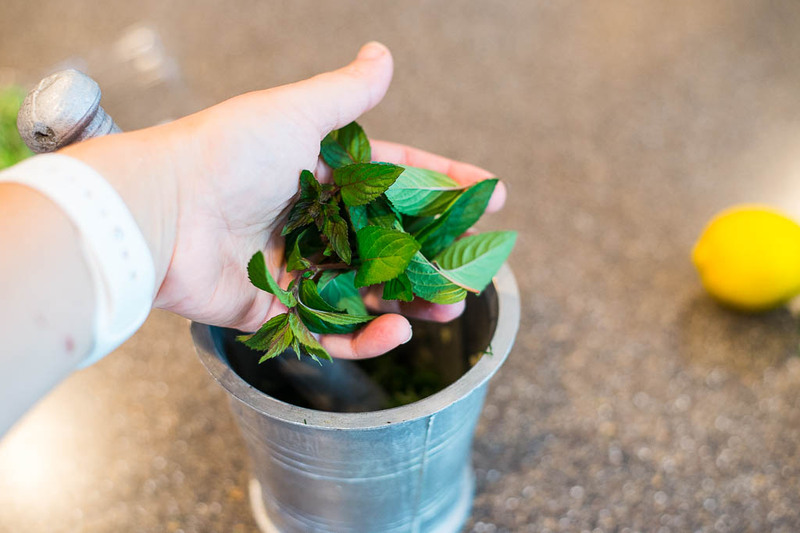 Remove the stalks from all the herbs you will be using and roughly chop them up before incorporating all of them into the mortar. 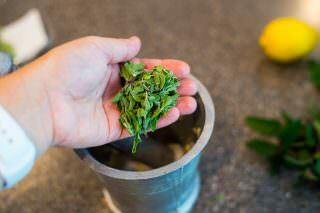 Top the herbs with the remaining of 1/2 tsp salt, 1/2 TBSP lemon zest, lemon juice and 3/4 cup olive oil. 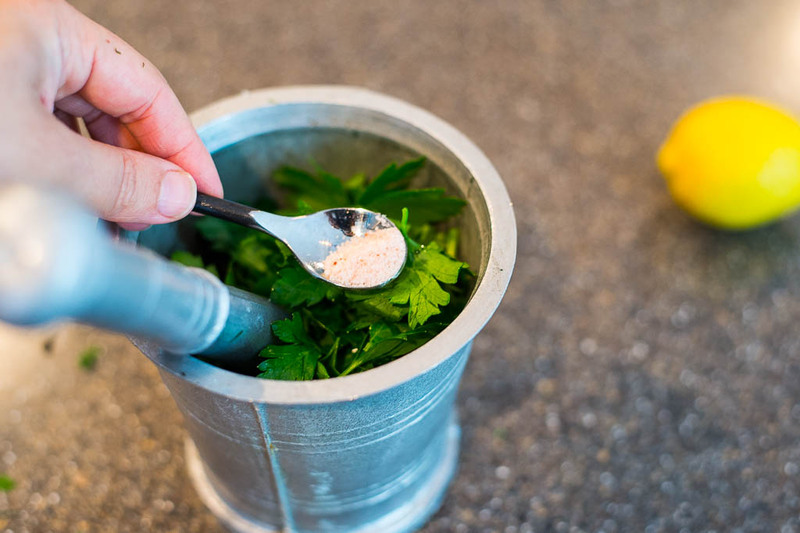 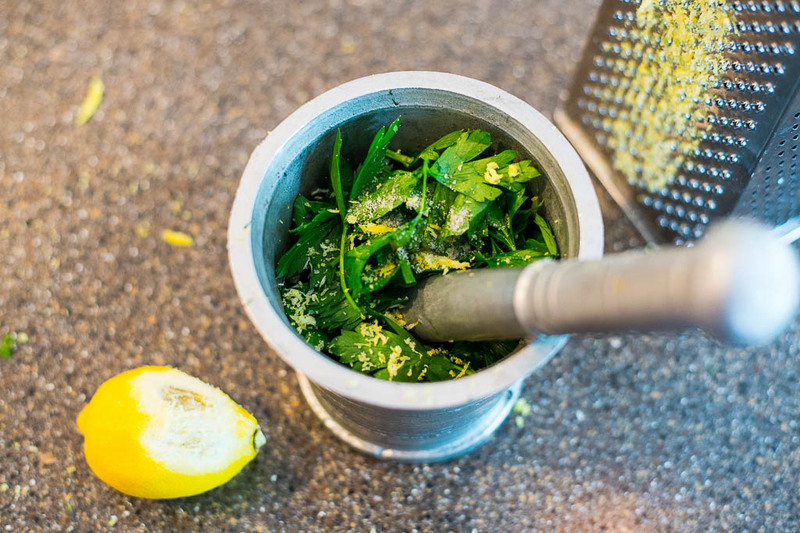 Give everything in the mortar a nice blend with the pestle, grinding the herbs together. 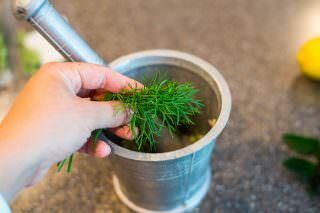 As a result, you will have a beautiful concoction of herbs, which will go amazingly well with your favorite steak. Like I mentioned above, if you give chimichurri a little time to let the herbs fuse together, you will have a masterpiece at your fingertips. I hope you enjoy this chimichurri recipe. Leave your comments below and let us know how it turned out for you.